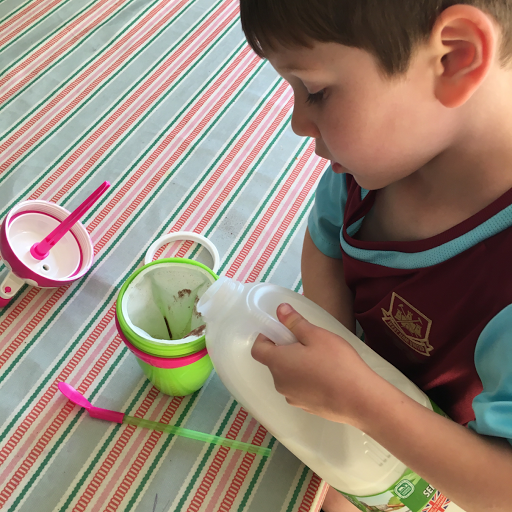 T loves milkshake and as they can be relatively healthy compared to some drinks I'm happy for him to have one every now and then. He really enjoys the thick ice creamy ones that are popular in restaurants but we generally keep these for extra special treats. 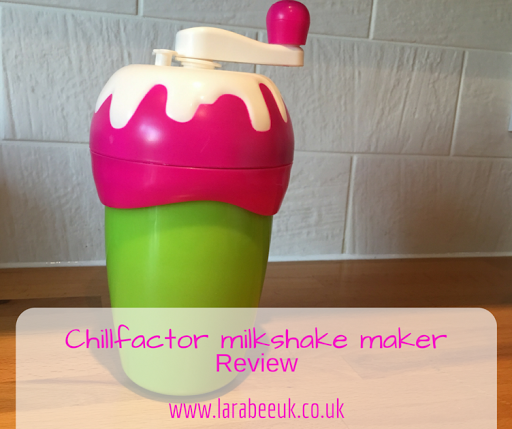 We were asked if we'd like to review the new Chillfactor milkshake maker so I was intrigued to see if we could create a nice thick ice cream type milk shake at home without the extra fat and sugar (ok without the yummy bits 😂). 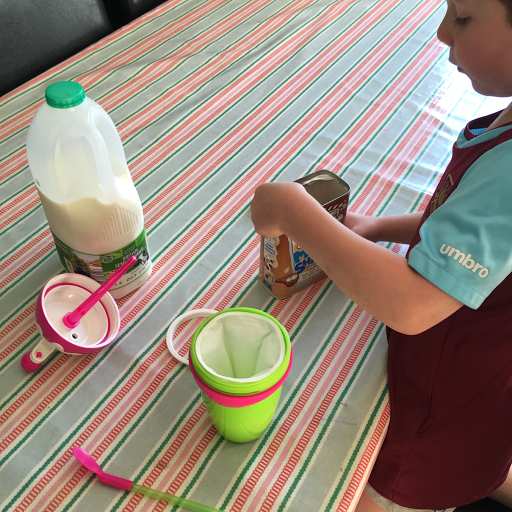 The maker comes in 5 parts, the cup, the ice pack, a ring to hold the ice pack in place, the lid including paddle and a spoon/straw. 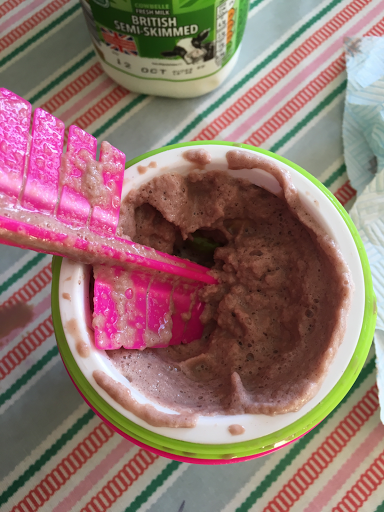 After freezing the ice pack, you simply add your milk or ready mixed milkshake to the ice pack, we actually added milk and chocolate powder although it didn't say to do this, it worked well for us. We screwed on the top including the paddle and gave it a good mix, I found this really easy to do but T did find it a little difficult. 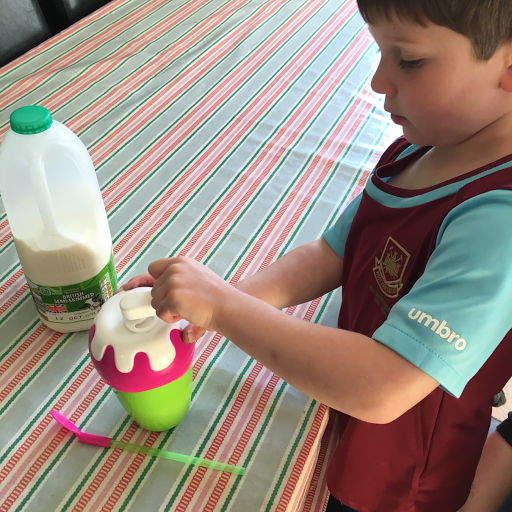 After a few minutes we had a great, thick and icy milkshake! 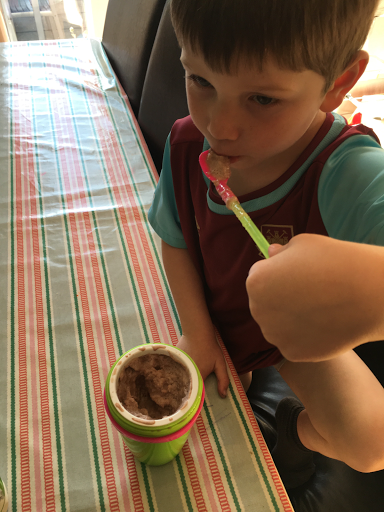 Of course it doesn't taste quite as good as adding a big scoop of ice cream in but, certainly a very good everyday alternative! 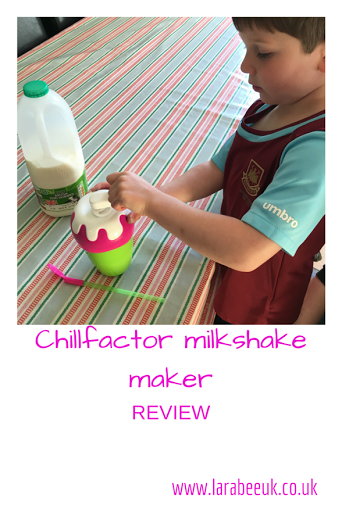 The Chillfactor milkshake maker is priced at £9.99 and is suitable for ages 3+. Like I said T who's nearly 5 found it a little tricky to mix and at £9.99 it is a bit pricey, but I think we'll get our money's worth out of it in the summer and maybe at Christmas by adding some Christmassy flavours!! Disclaimer: we were sent this product in return for our honest review. All words and opinions are our own.